From 2006 giving to the arts by New Zealanders was formally recognised with the annual Award for Patronage. The organisation giving the award – the Arts Foundation – is itself a private endeavour, set up in the 1990s to encourage arts philanthropy. The inaugural Award for Patronage went to Denis and Verna Adam, whose Adam Foundation supports prizes, venues and events for artists, writers and classical musicians. 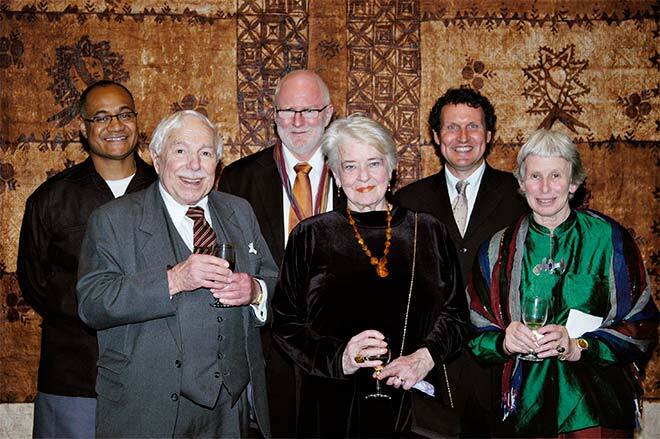 The Adams (front left) are shown here at Government House in Auckland on award night in 2006, with sculptor Tanya Ashken (front right) and (from left at back) presenter, comedian and writer Oscar Kightley, cartoonist and writer Tom Scott and writer Dave Armstrong.